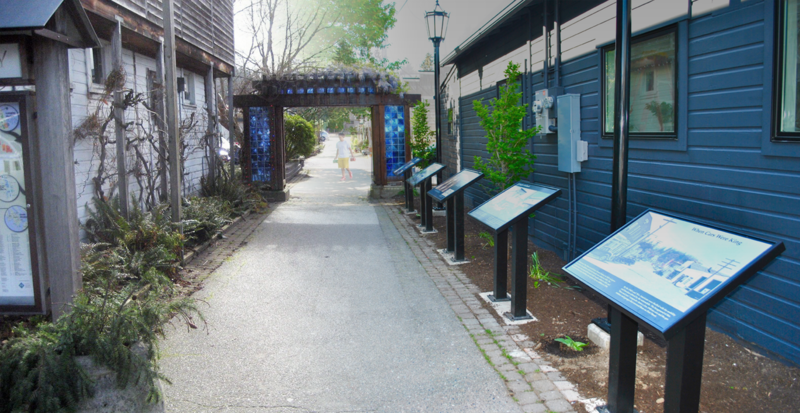 The Frick Lane History Walk is a renovated major pedestrian walk-way with five panels explaining with photos and text the early heritage of town. The Langley Main Street Association’s revitalization of Frick Lane received statewide recognition. Frick Lane’s history walk was awarded the visual impact award at the Washington Main Street’s Excellence on Main Awards Ceremony on April 25, 2017 in Ellensburg. It was held in conjunction with the state’s Preservation and Main Street Conference. The visual impact award recognizes programs and projects that positively impact preservation efforts, facade improvements, signage, and visual merchandising as well as transportation, parking and zoning issues. From the left, you can see the transition from before and after the Frick Lane updates including a walk through Langley history , new plantings, and antique lamps. 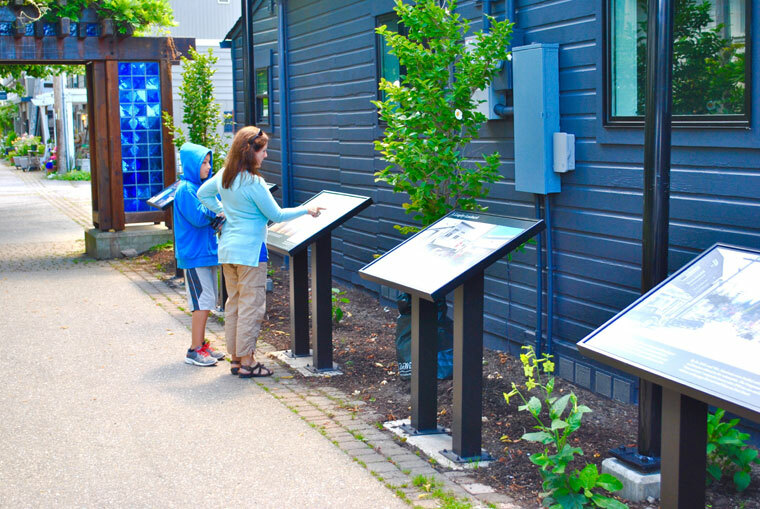 Frick Lane, a major pedestrian walkway from First to Second Street was renovated to become the first outdoor history display providing information for visitors and residents of the town’s early life. The iconic wood and glass archway was restored, five history panels were installed, along with two antique lamps and improved landscaping. 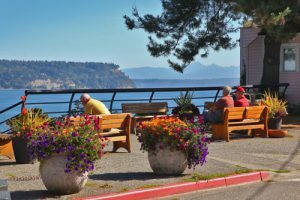 The project was led by historian, Robert Waterman, who has collected many images and stories with the South Whidbey Historical Society and through his role on the Historical Preservation Board. Several panel displays are a composite photo of Langley then and now. The total project cost $14,000 and was accomplished with hours of dedicated volunteer labor, an estimated worth of $7,500. Funding was provided by Langley Main Street, the City of Langley and the South Whidbey Garden Club.